Spring, summer and fall can be some of the better times of the year to get out and enjoy the beautiful weather. The weather allows for plenty of outdoor activities. Trees have an abundance of shade and everything is green. With all of that also comes rain and the need to have basement waterproofing. Rain can cause a lot of issues with water getting into a house in the Louisville area. It is best to make sure your foundation walls are in good shape before a significant rainfall. Louisville, Kentucky residents often ask; “What causes water to get inside my basement?” This question has several different factors. A Clog in Your Footing Drain – Over time drains can get clogged with all kind of debris. Typically a footing drain has a filter fabric that keeps large particles of debris out. Over time finer particles can work their way through the fabric and can clog the drain. Once this happens hydro-static pressure and build up can lead to water issues. Hydro-static Pressure – We have all heard the saying “water travels in the path of least resistance.” In the case of hydro-static pressure, the water weighs more than 60 lbs. per cubic foot. In the case of a major rainstorm, the soil could be saturated with water. In this case a home’s foundation could have thousands of pounds of hydro-static pressure building up against the foundation walls. At some point the water will work its way into the foundation walls through cracks. When a rainstorm comes and you are dealing with the aftermath of standing water or basement flooding the best thing to do is to call Best Waterproofing. We will come out and give a free estimate to all home owners. During this time we will come up with a solution that will prevent this from happening in the future. For a free estimate call us at (502) 457-1962. We will access your home. 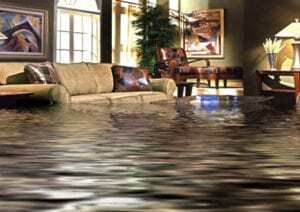 When we are finished with our free estimate we will detail how and where the water is coming into your home.